Andrea is the mother of two beautiful girls and has added to the general craziness of life with two littlies by started her own sewing business, Spirited Child. I asked Andrea to be an interviewee for Milk and Motherhood because I knew that her journey took a bit of a different turn than the ‘usual’ (upon reflection, though, is there a ‘normal’ breastfeeding journey?!). After struggling with a variety of problems, she became an exclusive pumper for her daughter and is now the woman I turn to when mothers ask me for advice and tips about pumping! She is an inspiration, and gave so much of herself to be able to give her beautiful little baby what she could. Here is Andrea, talking about her love/hate relationship with breastfeeding, and reminding me once again why I hold exclusive pumpers on the highest of pedestals in this world of baby-feeding. Tell me about your breastfeeding journey and how you found yourself exclusively pumping for your baby. Breastfeeding…I have a love/hate relationship with it. Before I had my first, Amelia, I never knew how much I would love it. Actually, I didn’t think I would care – my attitude was very matter of fact about it. But I also hated breastfeeding because it didn’t fully work for us in a ‘normal’ way. Amelia, my wonderfully spirited child, latched on immediately after birth and fed well. She gained weight and everything seemed great – it was painful, but it was working. I logged her feeds using an app and tried to keep a level head. 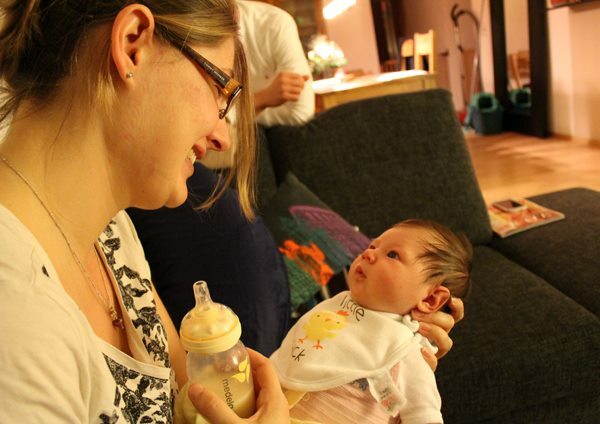 At week three, I began to struggle and started to become neurotic over her feeds. She began to spit up a lot. Despite being reassured this was normal, to me it didn’t seem so; she would vomit after every feed and writhe in pain… saturating her clothes,her burp cloths and me. That did not feel normal. After a lot of discussions with my midwife and debates with our paediatrician, it was finally confirmed that Amelia had a severe case of reflux and colic. We had to medicate her due to the constant pain she experienced. The reflux worsened as she grew and began to feed more, and it started to affect our breastfeeding. She couldn’t be fed in a cradle position or lying down as she would vomit her entire feed. I had to adopt the kangaroo position (where the baby is feeding vertically)and feed her in my baby carrier! Her sleep was sporadic with the pain from the acid allowing for 30 minutes of sleep at a time. She was exhausted. We were exhausted. Her latch began to suffer, as she associated my breasts with the pain of the reflux – I would bring her to my breast and she would scream and turn away. Public feeding was impossible and it felt we were in a bad place. Through desperate attempts to get some relief whatsoever, my midwife suggested my partner feed her with some of my pumped milk. With that, she seemed relaxed and as a result vomited less. Gulp. I felt relieved but also a bit sad. I pumped again and agreed to another bottle-feed. Pumping revealed that I also had a fast let down and oversupply (in one sitting I was able to pump 400ml or more), which would have exacerbated Amelia’s reflux. 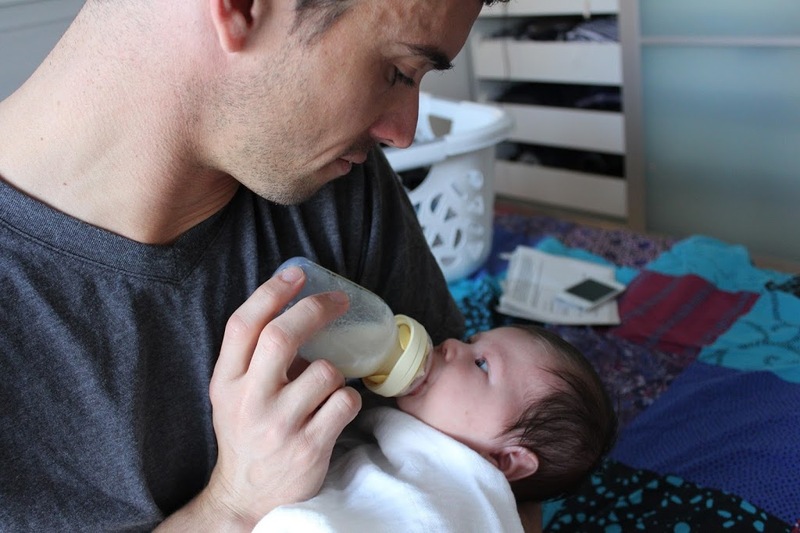 Somehow we got into a routine of my husband bottle-feeding her every night. Perhaps due to my desperate attempts to avoid the breastfeeding battle, I kept pumping the ‘missed’ feeds. Unfortunately, the more bottles she received, the more she favoured this relaxed and constant flow of milk, and she refused me more in the day. I refused to stop breastfeeding, though, as I had so much milk. Maybe this was a bit selfish – I wanted her to still have my milk. From five months old I was exclusively day feeding her with my pumped milk. Every feeding routine consisted of bottle prep and pump prep, whilst simultaneously feeding. It turns out I was a good pumper! A good pump (hospital grade), a good pumping bra, a Bjorn bouncer chair (mainly used to prevent spit up) and lots of patience got me through it. I pumped as I fed her. Not the usual breastfeeding route, but in my mind I was still breastfeeding her. Even in the middle of the night, I pumped. I took that pump everywhere! I had my routine – five times a day – and I stuck to it. I was pumping 1500ml a day and this was my drive, as she was getting one hundred percent my milk only. As she got older I was able to miss a pumping session here and there and occasionally we had special moments when she would sleepily latch on at night. I know some people thought I was crazy, and maybe I was a little, but I was determined for her to get my milk. By ten months, I was pumping three times a day, and I was also three months pregnant, so I decided it was time to stop. I had enough milk reserves to last until she was one. I was happy with that. Daily life — a bottle of breastmilk, the pump on the couch ready to go. 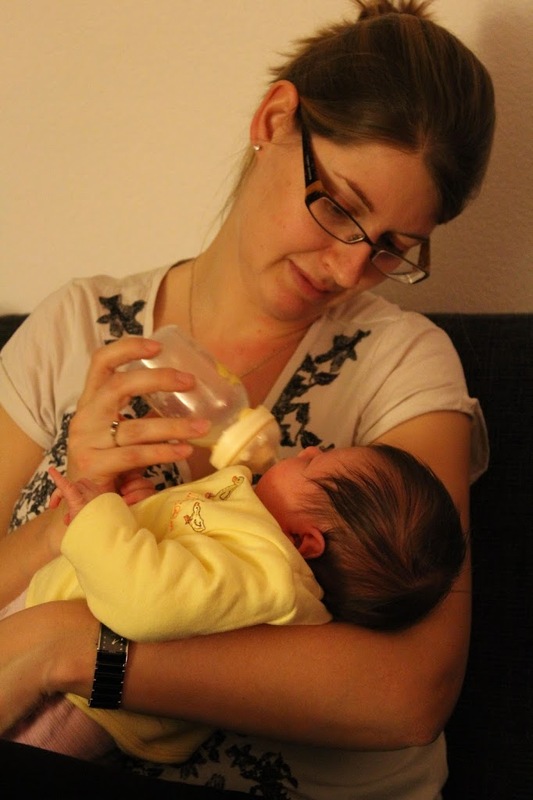 Did you go into motherhood with a firm idea of how you wanted to feed your baby? Where do you think these ideas came from? I had zero pre-conceived ideas. I just knew scientifically it was better. Perhaps this is why I kept the pumping routine. I knew that my milk was full of only good things. Having an oversupply of milk in this situation was maybe a good thing. 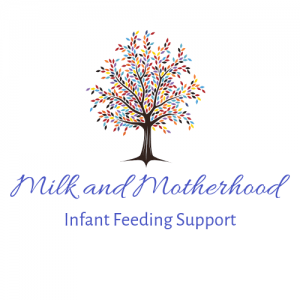 Having so much milk helped me deal with the loss of the ‘normal’ breastfeeding journey. 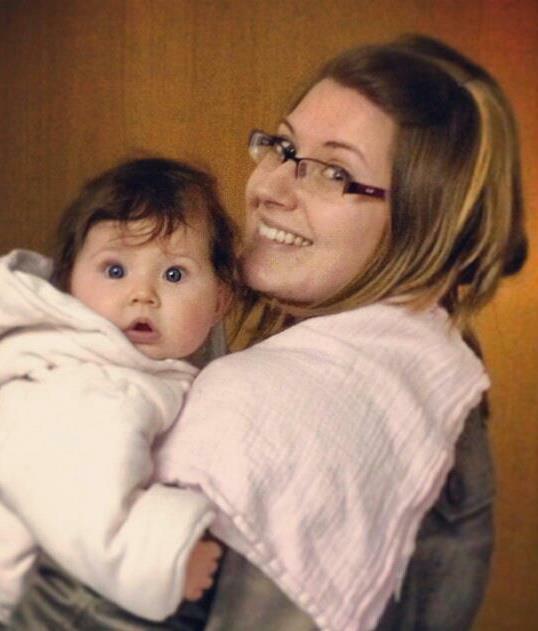 I wasn’t able to hold Amelia close to me due to the reflux and feed her in normal positions. My lack of pre-conceived ideas for feeding came from my lack of education. Perhaps I could have done more myself. I have no memory of anyone asking me how I planned to feed my baby or what my views were on breastfeeding. I knew mother’s milk was better but I only knew about the practical advantages. My sister had a baby five months before me and I saw her struggle with zero help, in the UK. I accepted this as normal and expected the same. Did your experiences follow your expectations? I had a very matter of fact expectation of breastfeeding. I thought that if it didn’t work then so be it. Move on and don’t let it get to you. This was the complete opposite to the reality. I was neurotic and almost competitive with myself. I logged every feed and pumping session. Feeling very alone and helpless in a foreign country without a lot of support with breastfeeding. 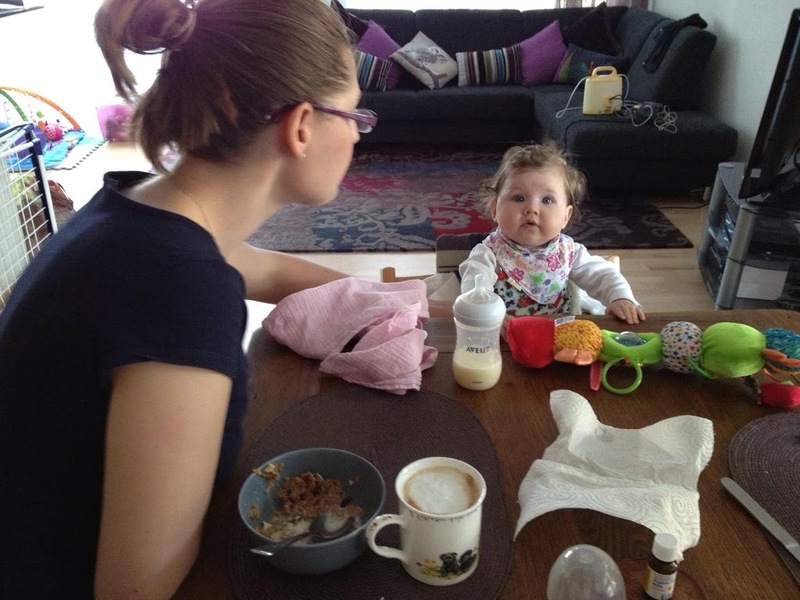 To a certain degree, reflux in babies is normal – but Amelia’s was extreme to the point of needing medication. I had to fight to get the doctors to take it seriously. Their response was always the same: Give formula specially designed for reflux babies. When I would tell them about my pumping/feeding routines, they would tell me I was crazy and it was unnecessary. How did you feel when bottle-feeding your baby in public? Honestly, I felt sad and triumphant at the same time. Sad that I wasn’t breastfeeding her but triumphant that the feed in the bottles were from me. Sometimes I felt that I needed to keep explaining to people as to why I was feeding her a bottle of my own milk. My friends knew and often joked about the ‘liquid gold’. Also, it was a logistical hassle if I was not at home. I would have to plan my outings around pumping times and feeding times. Often the last thing I would do before leaving the house was have a good twenty-minute pump! Then I could get out for a few hours. Day trips were not practical until she was much older. And when watching other women breastfeed? I felt such warmth and frustrations simultaneously. When Amelia was still breastfeeding at night, I could relate to those special moments. I felt a little frustrated that we couldn’t have those quiet breastfeeding moments elsewhere. Our last ‘normal’ breastfeeding moment. Andrea, thank you so much for your incredibly honest retelling of the breastfeeding journey you went through with Amelia. I know that there are so many women who are also pumping for their little ones who will gain so much from your story. Wanting your little baby to have your milk is, to me, the furthest thing in the world from ‘selfish’ — particularly as an exclusive pumper! I take my hat off to you and your absolutely selfless pursuit to give your baby your all. Stay tuned for a future post, where Andrea will share her top five tips for pumping mama!